CoolGear's new USB C hub provides 4 USB 3.1 Gen1 ports to include 3 USB-A ports and 1 USB C port. 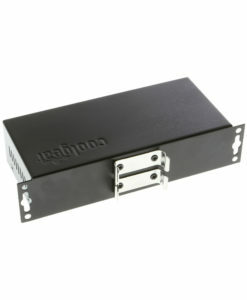 An ideal mini hub for super-speed data transfer in industrial environments! CoolGear’s new USB C hub for industrial applications is compact and mountable with 4 downstream ports comprising of (3) USB-A and (1) USB C port. The USB C hub is a generation 1 hub of USB 3.1 supporting Super-Speed 5Gbps data transmission speeds and the reversible type-C port. 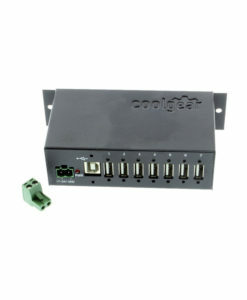 This hub is self powered with a 2-pin terminal block connector to supply power input of +7 ~ 48V DC sold separately. 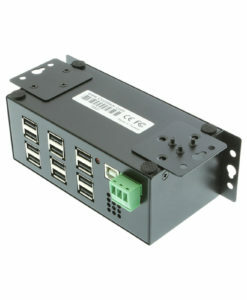 Uses included USB 3.1 A to B cable for upstream data. 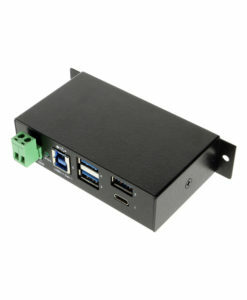 The 4 port USB 3.0 Hub has certain accessories that work with it. These accessories are what you can order if needed.